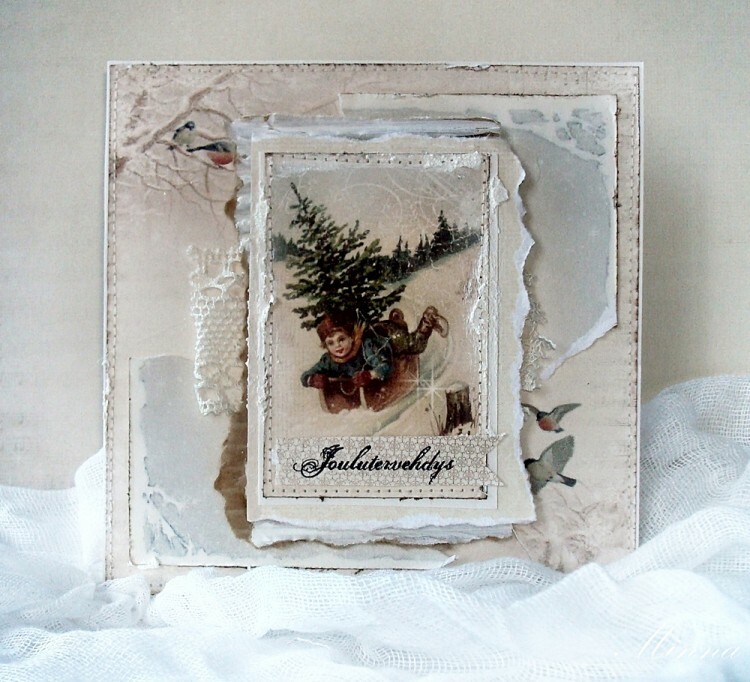 Hello everyone, today I want to show you my new card I made using beautiful papers from the Wintertime in Swedish Lapland collection. The vintage image is also from the same collection. For the edges I have added some structure paste, it gives really nice snowy look.